Join the fun for the Flow Tour National Championship at Waterville USA. This championship competition will take place on their FlowRider. Come out to watch amazing athletes compete for the national title this summer! Stay with a Team that’s Dedicated to Your’s and SAVE 15% on your stay! Use Code: KAISERSPORTS15 to secure your accommodations through our easy online booking process. From one bedrooms condos to homes accommodations up to 42 people with ease, find your perfect property with Kaiser Realty by Wyndham Vacation Rentals today. Rate Restrictions: Rate can change without notice. Discount offers are subject to availability at the time of booking. Offers exclude existing reservations, groups, third party bookings and cannot be combined with any other offer. Other restrictions apply. Please call for complete details. Be a winner with the best views, value and variety of properties offered by Meyer Vacation Rentals! 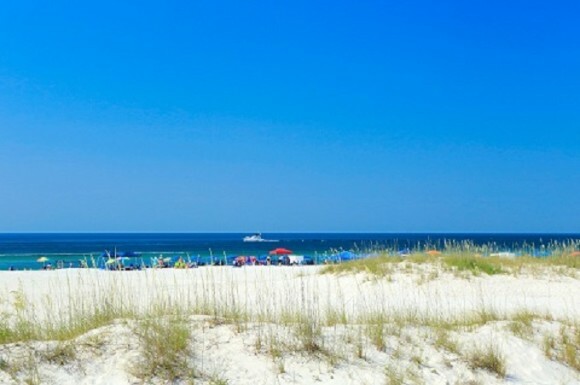 Representing the largest variety of accommodations on the coast for over 50 years, Meyer properties range from spacious beach houses to convenient condos in the Gulf Shores, Orange Beach, Fort Morgan and Fairhope areas. The big bonus points, in addition to privacy and space, are the fully equipped kitchens and comfortable living areas in all Meyer properties. Meyer properties range from spacious houses and condos on the beach, across the street from the beach and boat-friendly waterfront properties on the Bay and Lagoon. By accommodating more guests per property in condos and houses, the per bedroom cost is affordable for every budget. Contact Alejandra Southerland at (251) 967-2063 for more information regarding exclusive discounts for your event today! Gulf front units in Gulf Shores and Orange Beach. Rooms accommodate from 4 up to 6 people in each unit. Gulf front units in Gulf Shores and Orange Beach. Rooms accommodate from 4 up to 9 people. Gulf front units in Gulf Shores and Orange Beach. Rooms accommodate from 6 up to 13 people. Gulf front units in Gulf Shores and Orange Beach. Rooms accommodate from 8 up to 14 people. With miles of beautiful Gulf Coast and white sand beaches close by, ONE Club is the epitome of southern coastal living. Start your morning in the state-of-the-art One Life Fitness and Spa. Then select from a variety of activities before enjoying a delicious lunch at 45 Restaurant and Bar. Join your friends and family for happy hour at sunset, before having a fun-filled evening at one of the entertainment venues. Feel at one with the Gulf Coast lifestyle with ONE Club at the center of it all. Discover the perfect blend of serenity, nature, and a year-round get-away with a myriad of activities. At ONE Club, you’re afforded every luxury at incredible value. Rate Restrictions: Pricing subject to change. Stay with us at the Courtyard Gulf Shores which is centrally located between all the action on the Gulf Coast. As one of the premier hotels in the area, we combine comfort and convenience to create the ideal stay for sports guest and leisure travelers. We are conveniently located 1 mile from the Gulf Shores Sportsplex and 6 miles from the Orange Beach Sportsplex. The Courtyard is the most centrally located hotel in the area and only 3 miles from the beaches and 5 miles from OWA the newest theme park. Enjoy our state-of-the-art lobby, featuring flexible spaces to work and relax with free Wi-Fi, or soak up the sun in the outdoor swimming pool. We offer a variety of breakfast and dinner options at The Bistro - Eat. Drink. Connect., or sip on a Starbucks beverage or evening cocktail. When it's time to unwind, spread out in our hotel's spacious guest rooms with free Wi-Fi, and our new entertainment system featuring Netflix and Hulu. Rates based upon availability, if you need 5 or more rooms per night, please call the hotel directly and ask to speak with Sales. Rate Restrictions: Rates based upon availability and are subject to change at any time. Quoted rates do not include tax. If you need 5 or more rooms per night, please call the hotel direct and ask to speak with Sales. A chic boutique hotel along Alabama’s Gulf Coast, Hotel Indigo Orange Beach is one of the area’s only upscale luxury hotels. With a distinctive nautical design and amenities expressing the history and culture of the Alabama Gulf Coast, the 62-room hotel is located across from the beach and is one-of-a-kind property focused on exemplary customer service. Hotel Indigo Orange Beach’s contemporary design is mixed with coastal elements to make our guests instantly feel relaxed. Spacious guest rooms feature modern furnishings with twists of bold color to reflect the blues of the adjacent Gulf of Mexico. Hotel Indigo Orange Beach is part of InterContinental Hotels Group (IHG), one of the world’s leading hotel companies. If you need 5 or more rooms per night, please call the hotel direct and ask to speak with group sales. Enjoy our neighborhood from this king bedroom and the comfort of the pillow top bed at the end of a busy day. This room also includes a work desk, mini fridge, Keurig, 55-inch tv and free wifi. Enjoy the spa-like bathroom with glass walk-in shower. If you need 5 or more rooms per night, please call the hotel direct and ask to speak with group sales. This standard room offering two queen beds along with a mini-fridge, Keurig, work desk 55-inch flat screen tv and free wifi. The spa-like bathroom has plenty of counter space and a glass walk-in shower. Rate Restrictions: Important Things to Know: Please call the hotel direct for reservations at 251-981-1737 "option 0" If you need 5 or more rooms per night, please call the hotel and ask for Group Sales. Located across the street from the Beach. Non-smoking facility inside and out. Pet (K-9) Non-Refundable fee of $75 per stay; restrictions apply and must be pre-registered. Minimum age to check-in is 25, ID required upon arrival. Yo, duuuude! Rad barrels out there! You don't have to worry about ankle busters on the Flow Rider. It is our pleasure to welcome all Flow Tour participants and fans to our beautiful beaches of the Alabama Gulf Coast. Located directly on the beach, all of our spacious guest rooms feature a private balcony, mini fridge, microwave, Keurig coffee maker, iron, ironing board, and hair dryer, complimentary wired/wireless high speed internet, indoor/outdoor pool, 2 whirlpools, guest laundry facilities, 24 hour complimentary business center, and onsite fitness center. Rates are subject to rooms (standard inland with 1 king bed or 2 queen beds) availability and taxes. When making reservations ask for Group Code “SCR” or book your entire team online by clicking the link below. Contact Group Sales at hotel with questions. Rate: Rates starting at $175 plus tax per room per night. Rates Starting at $254 Enjoy the experience of a life time at the islands only Full-Service Hilton Hotel! From sitting on your private balcony over looking the sugar white sand and turquoise waters of the Gulf of Mexico to dining at our Full-Service restaurant. We provide Luxury in paradise, with our award winning culinary team and our touch of genuine southern hospitality. Join us in paradise and let's create memories that will last a lifetime!! !